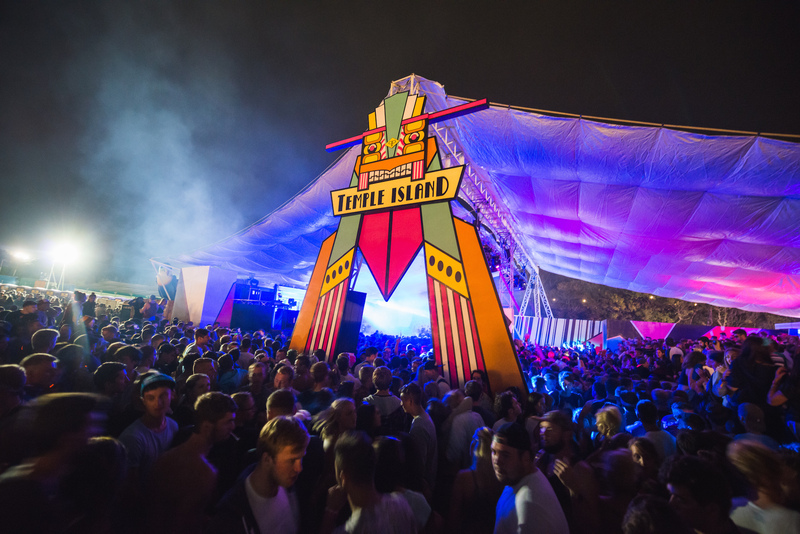 Bestival returns to Robin Hill Country Park on the Isle of Wight from the 8th until the 11th of September this year, finishing off the summer’s festival season with what promises to be something a little bit different. Complete with a futuristic theme and an all-new rocket stage, standing at 20 metres high and featuring a brand new sound system, curators Josie and Rob da Bank have pulled out all the stops this year. Currently studding the line-up are The Cure, Hot Chip and Major Lazer with Sunday’s headline act yet to be announced. Thursday headliners Hot Chip’s synthy sound should set the tone on the opening night, while Major Lazer’s revolutionary dancehall resonance and reputation for proper party times ensure Friday night will be unadulterated madness. The return of 2011 headliner The Cure means that we’ll all be in love on Saturday night as well as Friday. Also featured so far are Craig David’s TS5, David Rodigan MBE, Katy B, Years and Years and Wolf Alice. Craig David’s return to the charts means that a garage undertone will feature heavily, while David Rodigan will undoubtedly bring the reggae beats to the masses. Other pioneering acts include Beaty Heart, Tourist, Ghostpoet and Kitty, Daisy & Lewis. Beaty Heart’s upbeat (pardon the pun) electro guitar sound will fit perfectly into the tapestry of Bestival – providing sunshiney tunes to both humans and aliens alike. Kitty, Daisy & Lewis were present at Common People’s debut last year and won over audiences with their retro mix of genres and instruments. The brand new Spaceport stage will throw a spotlight on Diplo, Carl Cox and Fatboy Slim – championing dance music in all forms and promising 24 hour parties the entire duration. As part of Major Lazer, Diplo has earnt his stripes as a huge name in club tunes – his involvement in tracks like ‘Be Right There’ hold crowds in good stead for an unbelievable set. Aside from the spectacular live music lined up Bestival offers a wealth of other activities to keep crowds entertained, including knitting workshops, The People’s Front Room, the Sunday Best Cardboard Record Shop and the famous Bestival Inflatable Church where out of this world weddings will be taking place all weekend. Tickets for Bestival are available to buy here, with the option for a £7-a-week payment plan.